This was taken right as the sun went down – no alteration on this, the sky was quite blue that evening. 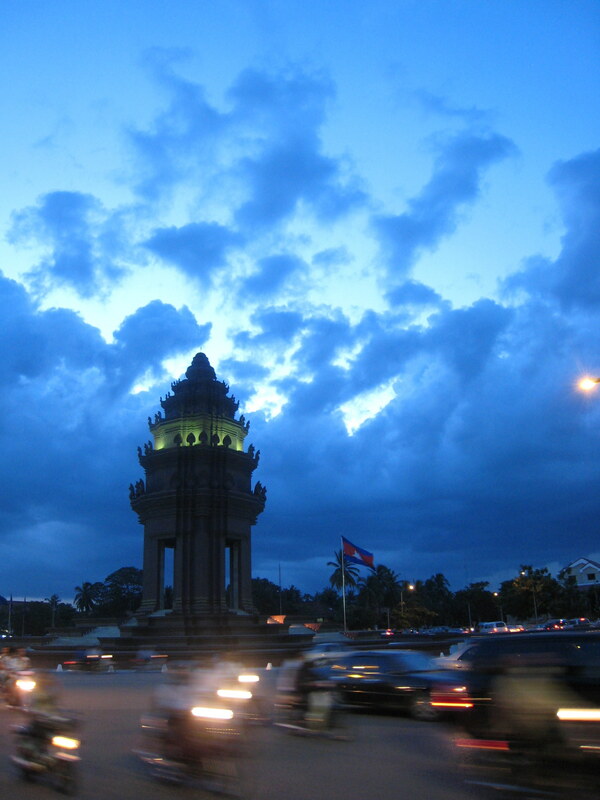 The Independence Monument in Phnom Penh, the capital of Cambodia, was built in 1958 following the country’s independence from France. It has undergone some “beautifying” as of late, with lights and fountains surrounding it. Many Cambodians stop in the cool evenings to “hang-out.” There are smaller copies of this monument in all the major cities of Cambodia. Wonderfull capture, very beautifull sky. Well done!